Do you remember what you were like in the 9th grade? I do. I was the classroom comic. Miss Paladino was our teacher and I was her most difficult student. Not only did I not want to learn Latin, I did not know the difference between a verb and an adverb, something I’m still a bit confused about. I discovered later that learning Latin is enhanced if you understand English. I didn’t, so you can see, I was at a great disadvantage. 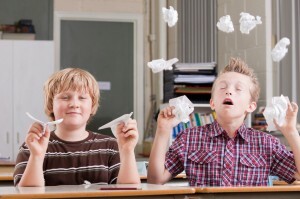 So what does a 9th grader do when he does not have a clue what the teacher is talking about? I don’t know what others did, but I made funny and I played uproar, usually out loud so everyone could hear. I carefully hung the sign around my neck, put on my sunglasses and just sat there and waited until Miss Paladino looked at me. It worked. She dropped her book and laughed out loud. It so caught her off guard that she liked it and the net effect was that because she laughed, much of the ill-will between us caused by my disruptive classroom antics was silently forgiven. Sign 1: Over compensation. That was what I was doing in the 9th grade. To overcompensate for my lack of confidence and my inability to learn what was being taught, I made people laugh. There are a variety of ways to overcompensate. Some people have to win every competition they enter, others may become arrogant while others become overly self-effacing, and others may become a perfectionist. We all have weak points and we don’t like them exposed. 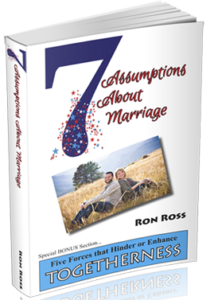 So we seek out our strengths and hope they will be sufficient to cover our weaknesses. This over-compensation is like a band-aid on a severe gash. It might slow the bleeding, but the wound is still there. The subconscious mind knows the reality of the situation so the fear and insecurity persist, though temporarily assuaged by the compensatory acts. Sign 2: Excuses. While backing out of a very tight parking space a lady turned in front of me and I tagged her front bumper with my back bumper. Whose fault was it? If you ask me, it was her fault. If you ask her, she says it was my fault. Truth is, we were both embarrassed by the accident and both had some responsibility for what happened. Thankfully, very little damage was done to her car and none to mine, but we were both embarrassed. So what did we do? 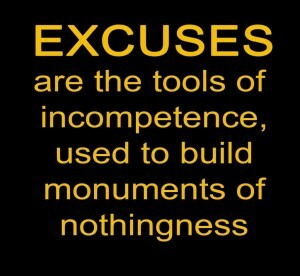 We made excuses. Everyone makes mistakes and no one gets through life without muddling things up from time to time. Sometimes our mistakes are huge – even life-threatening. Most of them, thankfully, are just the usual run-of-the-mill fender-benders of daily living. What do you do when you make a mistake? Do you make excuses? Confident people do not make excuses when they screw up. They understand they are human and can admit their wrongs. They apologize and move on with life. If you are human, you will err. If you err you need not find someone to blame or some excuse for your misstep, you need to apologize and move on. Zing! Punch! Oh, that hurt. “Heal my ignorance? Let me tell you something lady, you’re the ignorant one here for not understanding what I was saying.” That’s what I wanted to tell her, but I did not. I waited a couple of days, considered what the lady said, and made a calm and careful response that I felt would bring us together not divide us even more. Confident people listen to criticism to see if the critic has something valid to say. If it is constructive, they accept it. If the criticism is over-the-top, invalid or even insulting, they overlook it and move on without the need to respond in kind. Sign 4: Body Language. 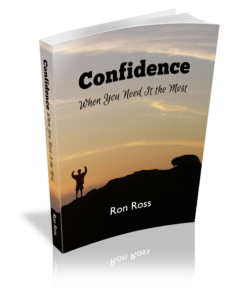 People who lack confidence can often be identified by the way they walk, gesture and talk. A defensive person will have arms folded and lips pursed together. An arrogant person will have his head tilted up and speak with a condescending tone. A worried person will touch their face and display other anxious signals. Confident people can also be identified by the way they walk, gesture and talk. Feet on the floor, eyes straight ahead, and a pleasant look on their faces are a few signs of confident people. Confident people walk with, well, for the lack of a better word, confidence. And a confident person speaks with confidence, not arrogance or volume, but with certainty and conviction. Sign 5: Perfectionism. A perfectionist is convinced their self-worth is determined by how well they look, speak and perform. They want everything to be just so and if it is off a smidgen it means they are unworthy of success and are a failure. Perfectionists can never be confident because of their perpetual fear of failure and because of the reality that no one is perfect. Confident people are not perfectionists. They are realists. They reach for success, take risks and are willing to fail. They want to do well at what they do, but understand that their self-worth is not determined by unreachable standards. They don’t have to get an “A” on every test. Do you see yourself in any of these signs? Make sure you are aware of them and then check yourself before you fall prey to their deceptive message.